The beach is full of people, music, coolers and food. The sun’s hot; the water’s warm, but I think I’ll wait til summer’s over to go to the beach. 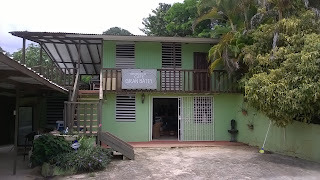 Summer is our slow season so I took advantage of a free Sunday and called a friend to go to the Café Gran Batey, a family owned and run coffee farm in Utuado. 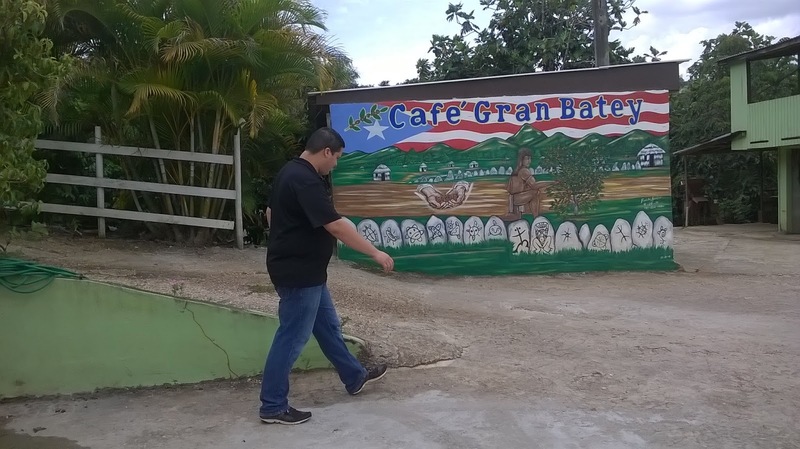 Driving the curvy mountain road, you’d never know there is a severe drought in Puerto Rico. The landscape appeared lush and green. We found the Gran Batey easily and drove down their long driveway….entered the building and joined a small group sitting around talking and drinking coffee. We put in our coffee order (black or with milk) and then they asked us, “Do you want a tour before your coffee?” “Sure”, we said. 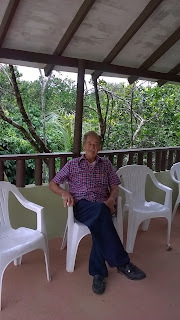 So as the three people said their good byes, five of us walked to the nearby “finca”. Jose Daniel took us on a short tour pointing out the coffee plants surrounded by breadfruit and orange trees. 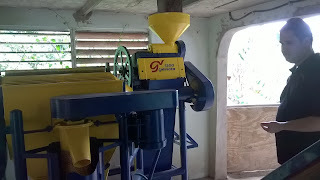 From the trees to the machinery (old and new), we saw the process of making “gourmet” coffee. They do it all: picking, ‘shucking’, drying, shelling and roasting….and the love, care and knowledge they put into it shows. The coffee is delicious . 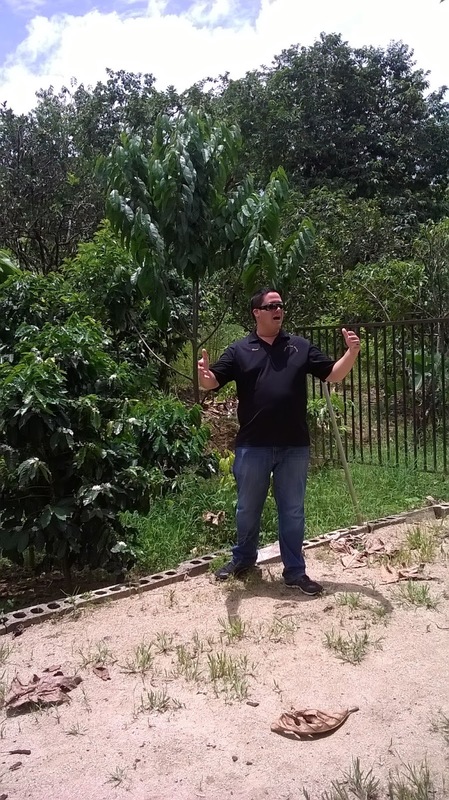 As a former coffee farmer who sold our ripe (uva) coffee to the local government cooperative, I learned that my coffee beans ended up mixed with local and outside beans which were then roasted and sold under local labels….which is why the quality varies so much from bag to bag. 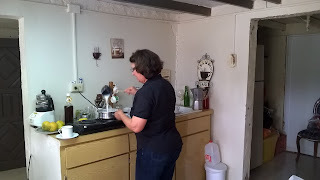 After our tour, we returned to drink our coffee and eat some cake. I assume most people buy coffee before leaving; we did. Presently the tour is free and so is the coffee and cake. They’re in the process of expanding some of their public facilities so perhaps they may charge in the future. 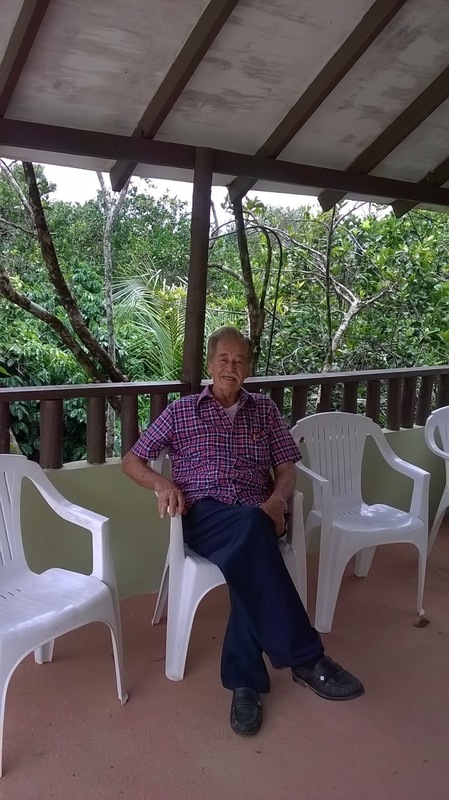 If you want to spend the day with family, chatting over coffee…I suggest you visit Jose Morales, Lotty Aymet and their son Jose Daniel (and maybe their daughter, Angela) and learn about the work and care that goes into your morning brew.